Here's something you may not already know (and if you did, please excuse our ignorance): real grenadine is made from pomegranates. Not fake cherries! Who knew?! Ok, maybe you did. Now, the grenadine you're probably used to- the thick, bright red, syrupy stuff that Shirley Temples are made of, is full of ingredients that sound more like a chemistry experiment than a sweet addition to a cocktail. High Fructose Corn Syrup, Water, Citric Acid, Sodium Citrate, Sodium Benzoate (Preservative), Red 40, Natural and Artificial Flavors, Blue 1- not a drop of real fruit in the mix. It's enough to make Shirley Temple weep. 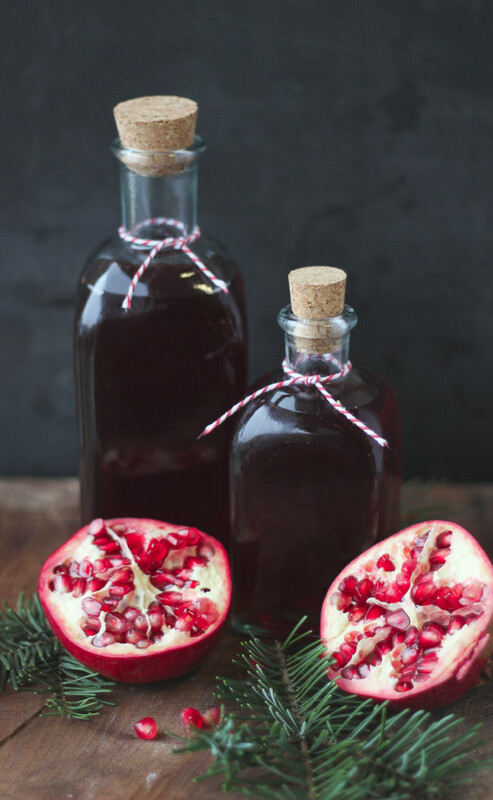 Real grenadine, made from pomegranate juice, sugar and a splash of orange blossom water is a treat in drinks like a Sea Breeze or a Tequila Sunrise. It's simmered down until it's a thicker consistency and the color can't be beat. It may not last on your shelf for years and years without the preservatives, but odds are it won't last in your fridge for long because it's so tasty. Pomegranates are in season now too, so if you want to make your own juice (which really isn't that hard), you'll be able to find a ton of them in our Produce Department. will keep for one month in the refrigerator. Makes a lovely homemade holiday gift!